October 20, 1937: This photo was taken on the set of Everybody Sing. 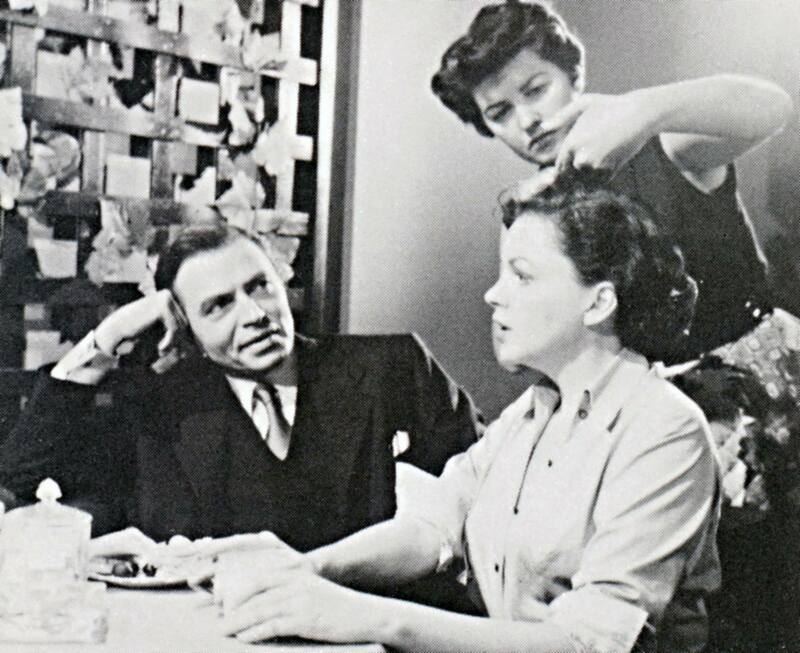 Judy is clowning with her fellow cast members, plus Roger Edens, and I think director Edwin L. Marin. October 20, 1938: In the curio department, this notice about the “Judy Garland International Heartthrob Sociedad Anonima of North America” club headquartered in Harlingen, Texas. 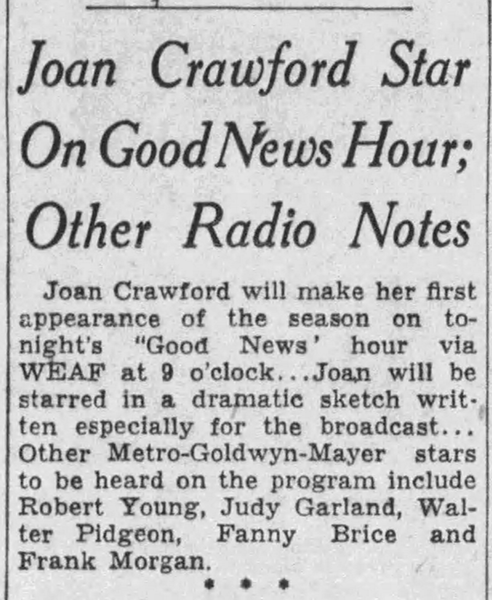 October 20, 1938: Judy appeared on the “Good News of 1939” radio program along with Joan Crawford, Billie Burke, Fanny Brice, Frank Morgan, Meredith Wilson, and Robert Young. Judy sang “Zing! 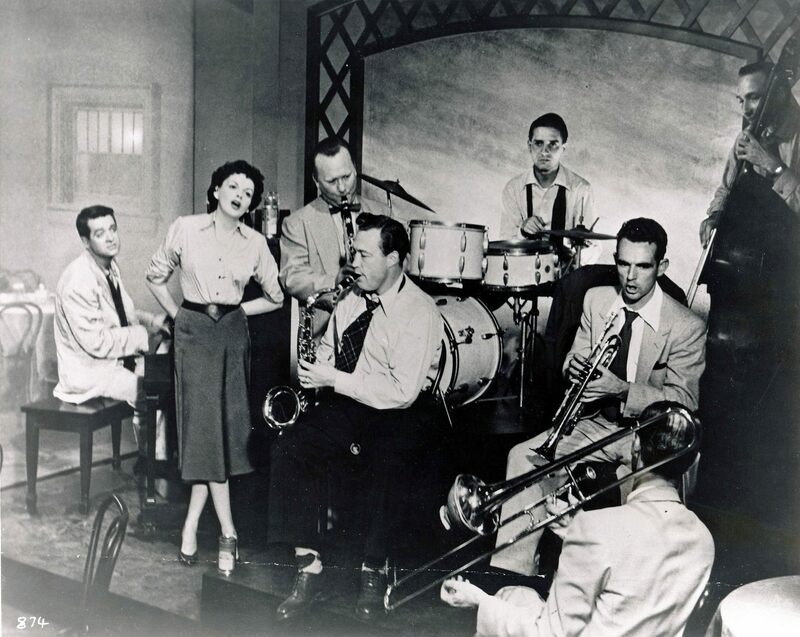 Went The Strings Of My Heart” and “On The Bumpy Road To Love” (with Fanny Brice, “Daddy” Stafford, Frank Morgan, Robert Young, and Joan Crawford). 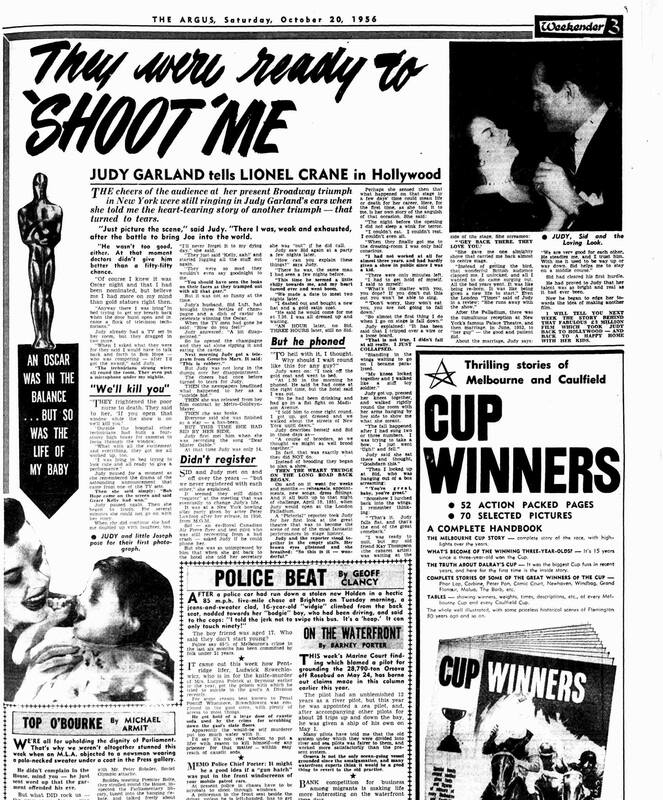 October 20, 1940: A busy week for Judy. 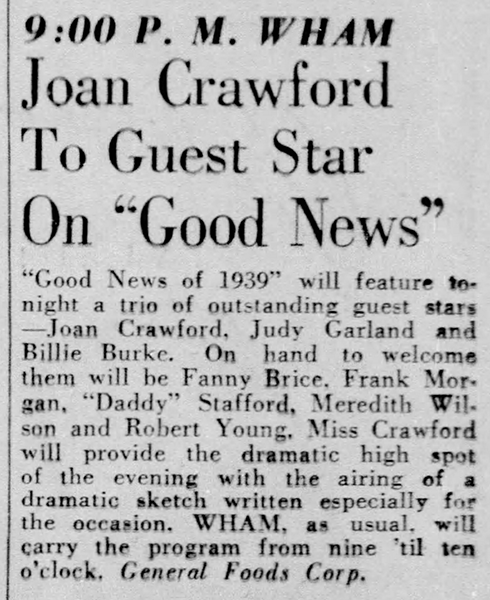 In addition to her duties at MGM, she was scheduled to be at the racetrack the following evening (October 21) for the “Judy Garland Race.” It was the tenth race of the day and Judy was to give the trophy to the winner. The race happened and was covered by the papers but no photos were included so it’s unclear if any photos were taken of Judy giving out the trophy. 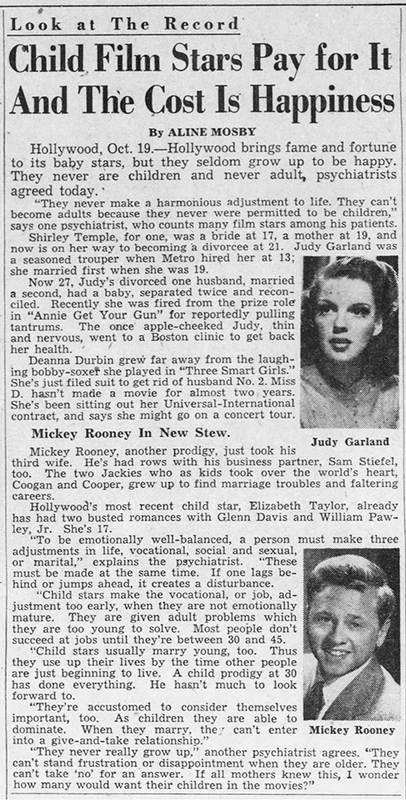 That Wednesday (per the second article above, October 23rd), Judy, along with Mickey Rooney and several other young stars (Lana Turner and Marsha Hunt doing duty as cigarette girls! ), was scheduled to participate in a benefit party put on by the “Motion Picture Mothers, Inc.” in the Palm Room of the Beverly Hills Hotel. Again, no photos of the event were published. 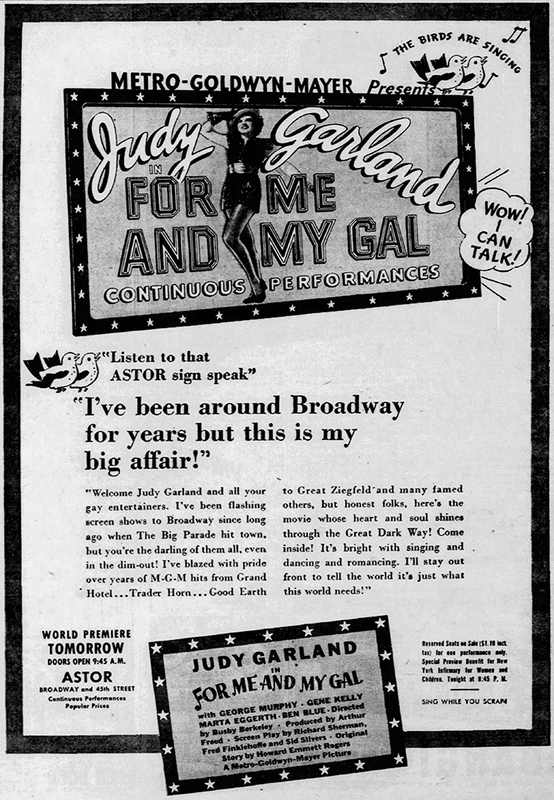 October 20, 1942: For Me And My Gal was set to premiere in New York the next day! October 20, 1944: Filming continued on The Clock with scenes shot on the “Interior Laboratory and Corridor Outside” set. 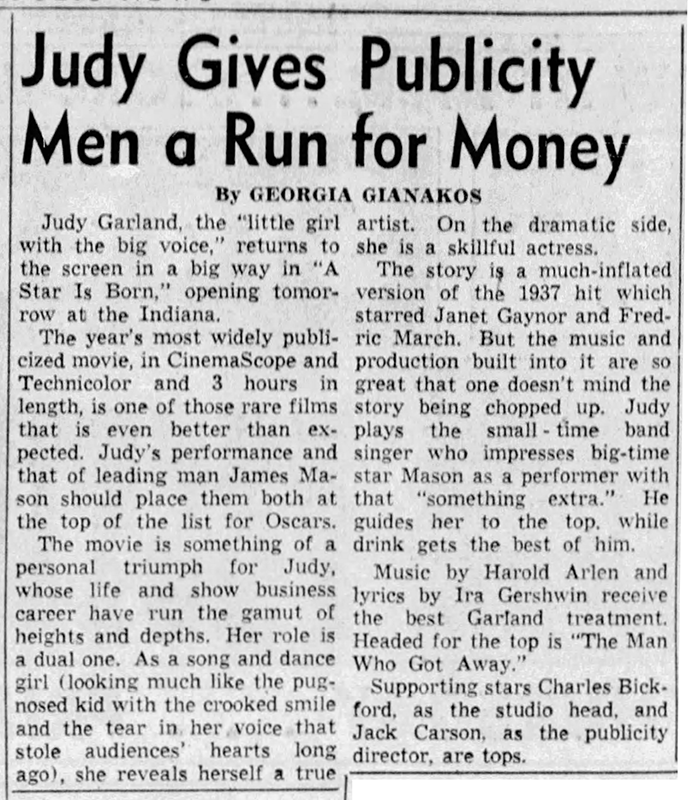 Time called: 10 a.m.; dismissed: 6:15 p.m.
October 20, 1945: Judy was out sick and did not work on the film she was currently working on, Till The Clouds Roll By. 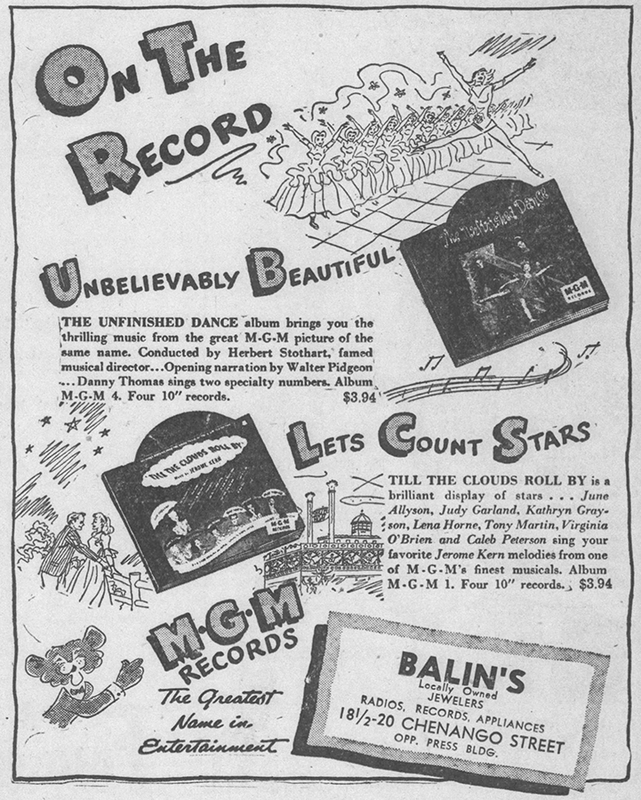 October 20, 1947: Here’s an ad for the MGM Records soundtrack of Till The Clouds Roll By. The album was the very first release by the newly formed label, given the number “MGM-1.” It was reissued many times over the years. 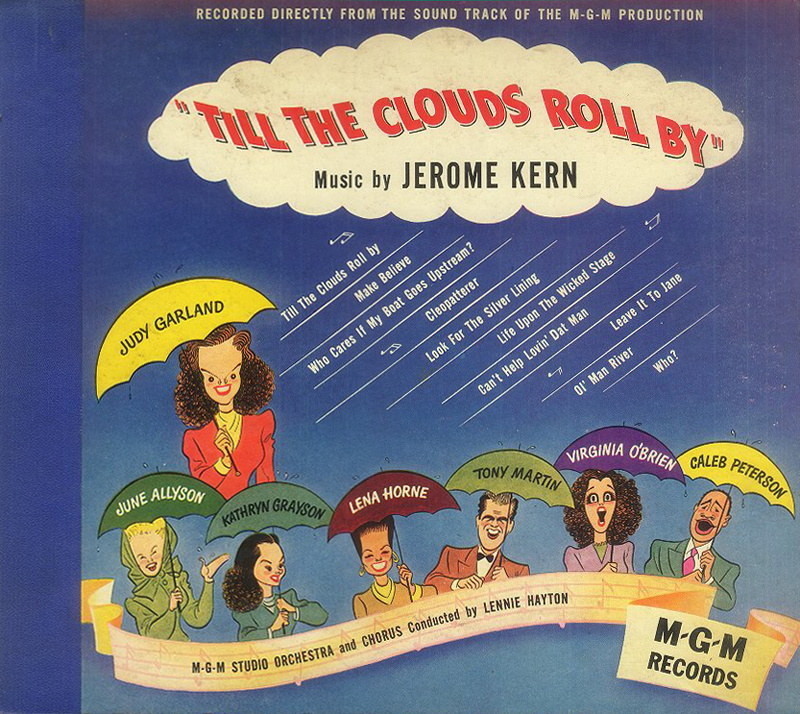 Check out The Judy Garland Online Discography’s Till The Clouds Roll By pages here. 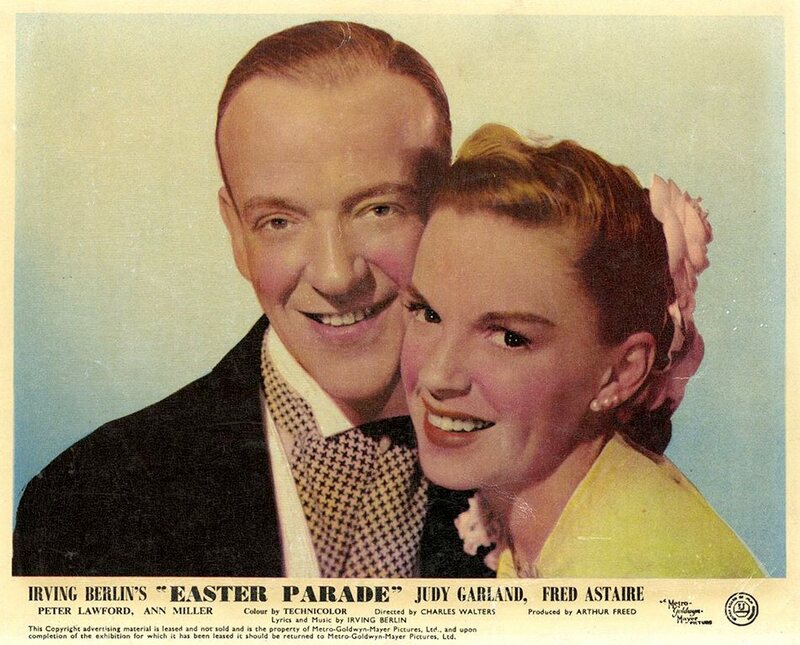 October 20, 1947: Judy and her new co-star, Fred Astaire, began music rehearsals of “A Couple of Swells” for Easter Parade. Time called: 2 p.m.; Judy arrived at 2:15 p.m.; dismissed: 3:20 p.m.
October 20, 1949: Judy and Mickey Rooney are listed in this article as examples of child stars losing their childhoods. 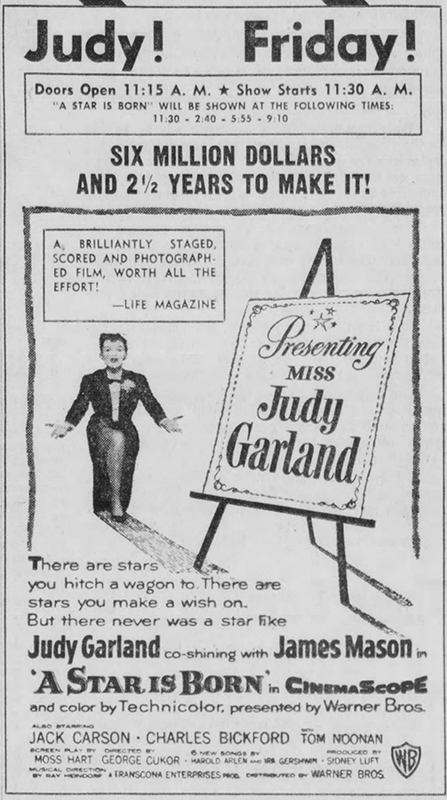 Sadly, Judy became the poster girl for stars who were robbed of their childhoods and the oftentimes tragic results. 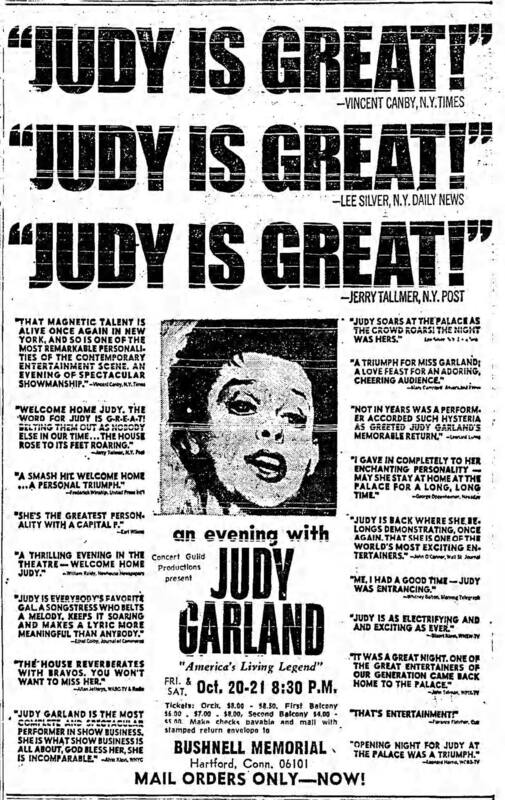 October 20, 1951: Columnist Earl Wilson reports on Judy’s recent opening night, and phenomenal comeback, at The Palace Theatre in New York. Basically, everyone was in tears. The song was shot utilizing two different systems: “CinemaScope,” the new process, was the first version shot; this filming went from 2:30 p.m. to 5:00 p.m., by which time the standard Technicolor version had been relit and reblocked. 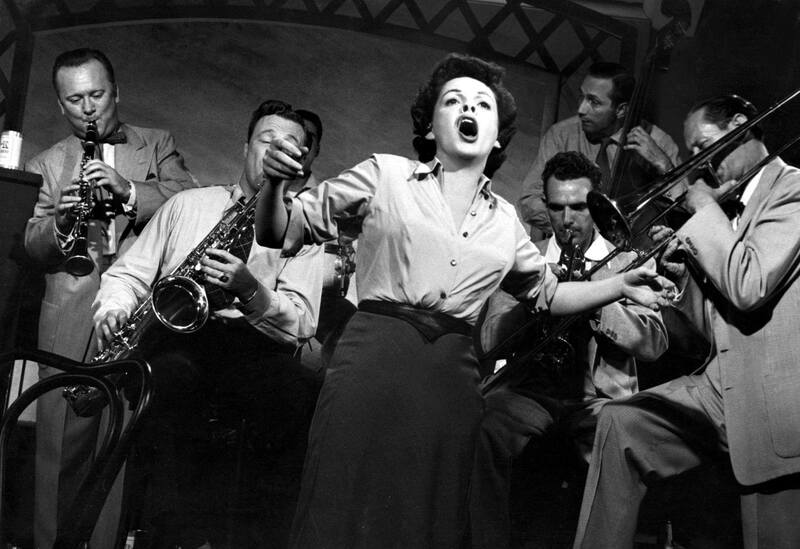 The Technicolor filming at 5:00 p.m. required only three takes to complete the song (the first take was spoiled by the camera, the second by Judy bumping into a table, and the third take – filmed in one complete take for the whole number – was printed). 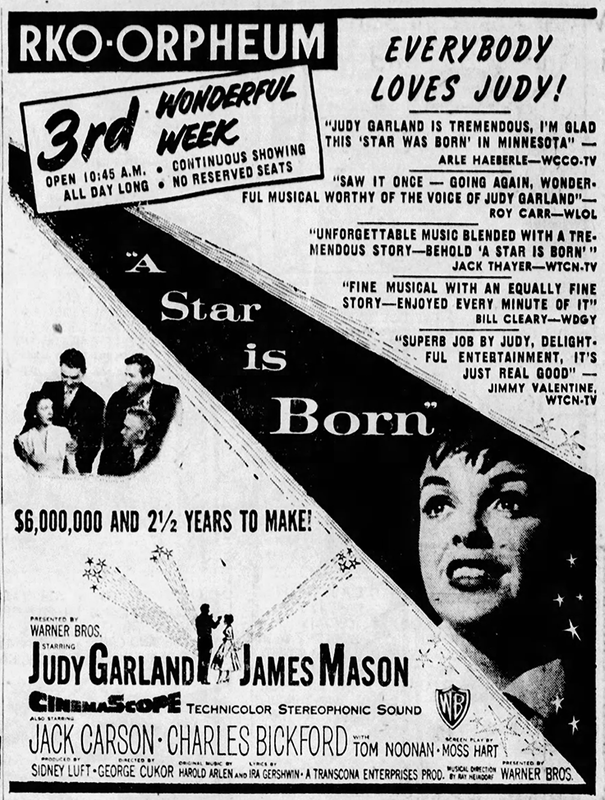 The day had started at 10 a.m. and the company was dismissed at 6:16 p.m.
October 20, 1953: A Star Is Born ads and a review. At this point, the film was still being shown at the original three-hour length. October 20, 1953: The Warner Bros. publicity department sent out photos of Judy as a car hop to promote the beginning of filming on A Star Is Born and probably to show a happy and cute Judy to the public. Once the film was hacked, Garland fans must have been disappointed that the scenes were not in the film. Luckily they survived and were restored back into the film in 1983. 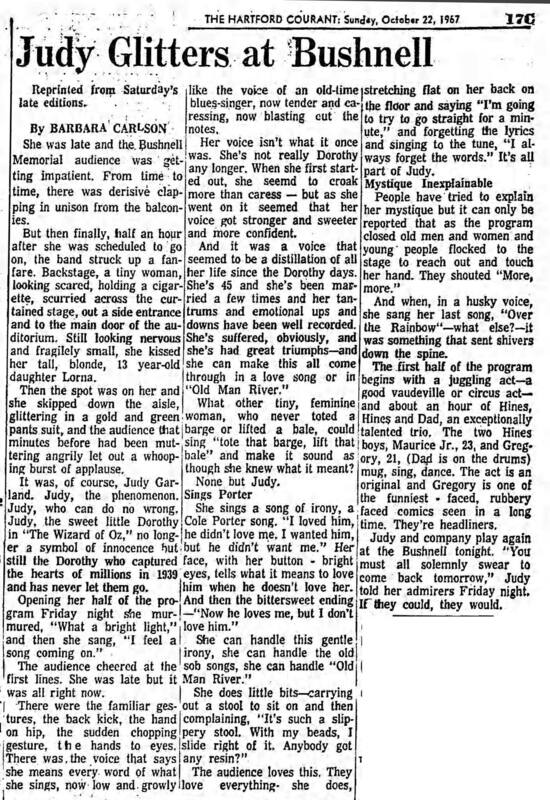 The cheers of the audience at her present Broadway triumph in New York were still ringing in Judy Garland’s ears when she told me the heart-tearing story of another triumph – that turned into tears. “Anyway there I was lying in bed trying to get my breath back when the door burst open and in came a flock of television technicians.” Judy already had a TV set in her room but they dragged in two more. Judy paused again. Then she began to laugh. For several minutes she could not go on with her story. When she did continue she had me doubled up with laughter, too. “I’ll never forget it to my dying day,” she said. “You should have seen the looks on their faces as they tramped out with all the gear.” But it was not so funny at the time. Judy’s husband, Sid Luft, had brought three bottles of champagne and a dish of caviar to celebrate winning the Oscar. When the TV men had gone he said: “How do you feel?” Judy answered: “A bit disappointed.” So he opened the champagne and they sat alone sipping it and eating the caviar. Next morning Judy got a telegram from Groucho Marx. It said: “This is robbery.” But Judy was not long in the dumps over her disappointment. The cheers had once before turned to tears for Judy. THEN she was released from her film contract by Metro-Goldwyn-Mayer. Everyone said she was finished as a star – a has-been. 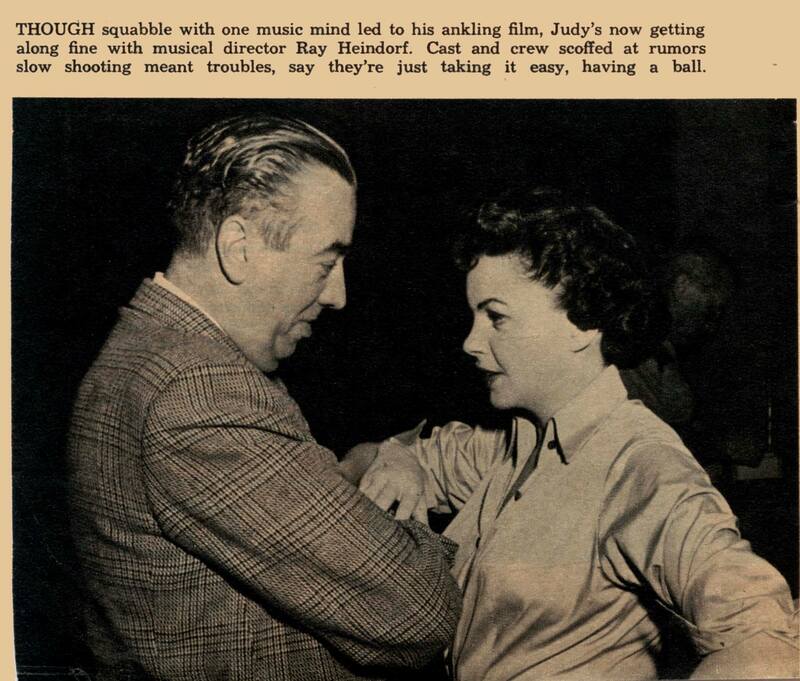 Judy first met him when she was recording the song “Dear Mr. Gable.” At that time Judy was only 14. Sid and Judy bet on and off over the years – “but we never registered with each other,” she explained. It seemed they still didn’t “register” at the meeting that was eventually to change Judy’s life. It was at a New York bowling alley party given by actor Peter Lawford after her release, in 1950, from M.G.M. Sid – an ex-Royal Canadian Air Force flyer and test pilot who was still recovering from a bad crash – asked Judy if he could phone her. But she was so unimpressed by him that when she got back to the hotel she told her secretary she was “out” if he did call. Judy saw Sid again at a party a few nights later. “How can you explain these things? says Judy. “There he was, the same man I had seen a few nights before. This time he seemed a little chilly towards me, and my heart turned over and went boom. We made a date to meet two nights later. I dashed out and bought a new hat and a gold satin coat. He said he would come for me at 7:30. I was all dressed up and waiting. AND HOUR later, no Sid. THREE HOURS later, still no Sid. In fact, that was exactly what they did NOT do. Instead of brooding they began to plan a show. THEN THE WEARY TRUDGE ON THE LONG ROAD BACK BEGAN. On and on it went for weeks and months – rehearsals, appointments, new songs, dress fittings. 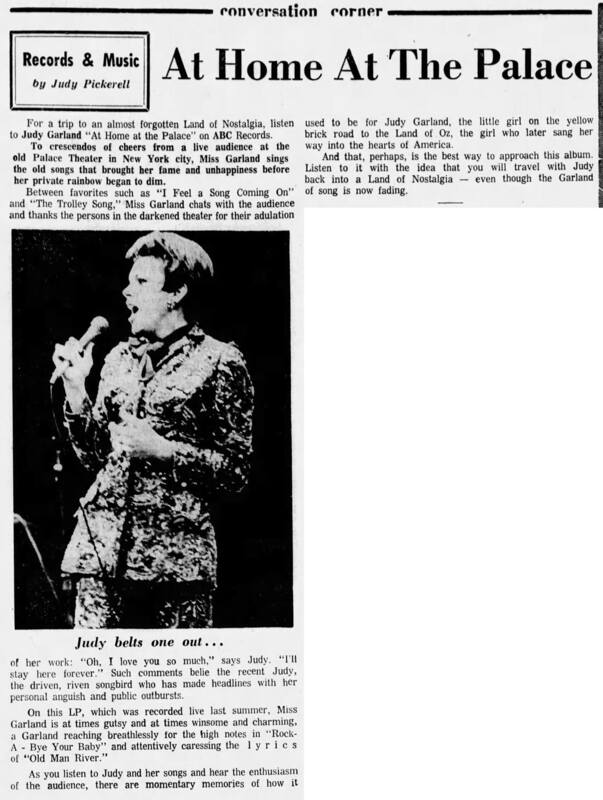 And it all built up to that night of challenge, April 10, 1961, when Judy would open at the London Palladium. 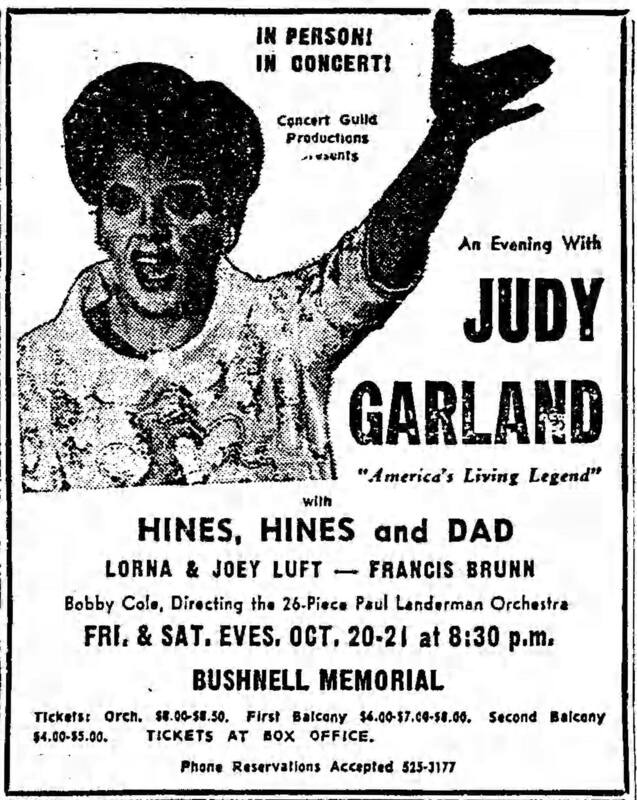 After the Palladium, there was the tumultuous reception at New York’s famous Palace Theatre, and then marriage, in June 1952, to “her guy” – the good and patient Sid. Sid had cleared his first hurdle. He had proved to Judy that her talent was as bright and real as it had ever been. Now he began to edge her towards the idea of making another film. I WILL TELL YOU NEXT WEEK THE STORY BEHIND THAT FABULOUS £2 MILLION FILM WHICH TOOK JUDY BACK TO HOLLYWOOD – AND BACK TO A HAPPY HOME WITH HER KIDS. 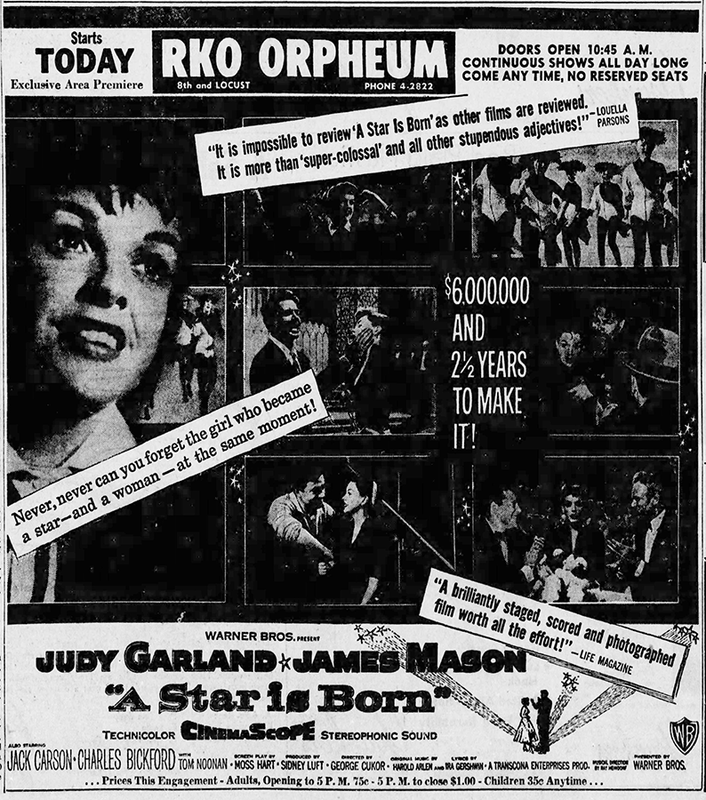 October 20, 1963: “Episode Eight” of “The Judy Garland Show” premiered on CBS. The videotaping of both the dress rehearsal (from 5:30 p.m. to 7 p.m.) and the final performance (9:00 p.m. to 10:30 p.m.) took place on September 27, 1963, at CBS Television City, Stage 43, Hollywood, CA. Jud. 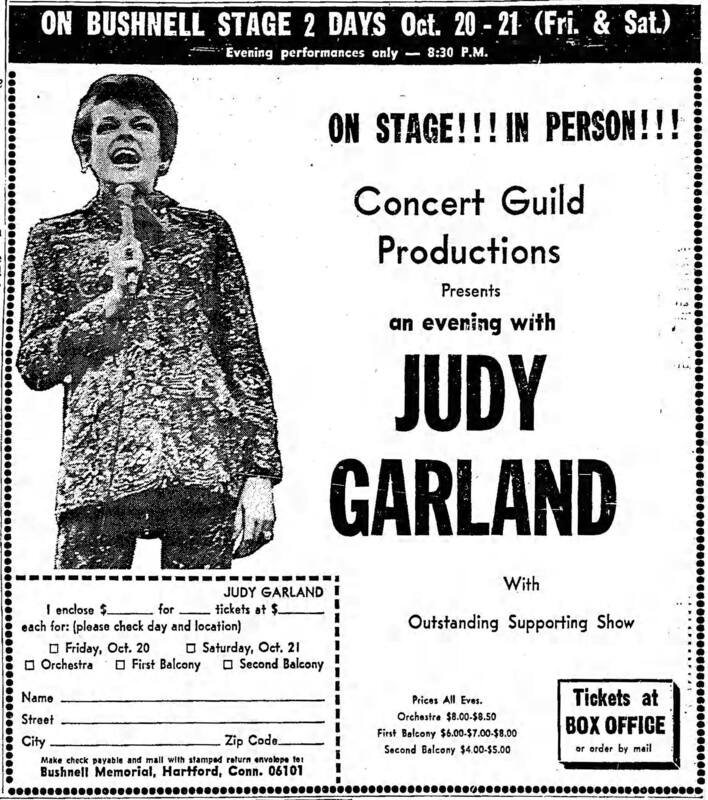 Judy’s songs were: “Alexander’s Ragtime Band” (opening); “Be My Guest” (with Maharis and Carter); “I Wish You Love” (the audio from the dress rehearsal version was released on the 1991 Capitol Records boxed set “The One And Only”; and “Side By Side” (with Maharis); “Country Medley” (with all the guests). 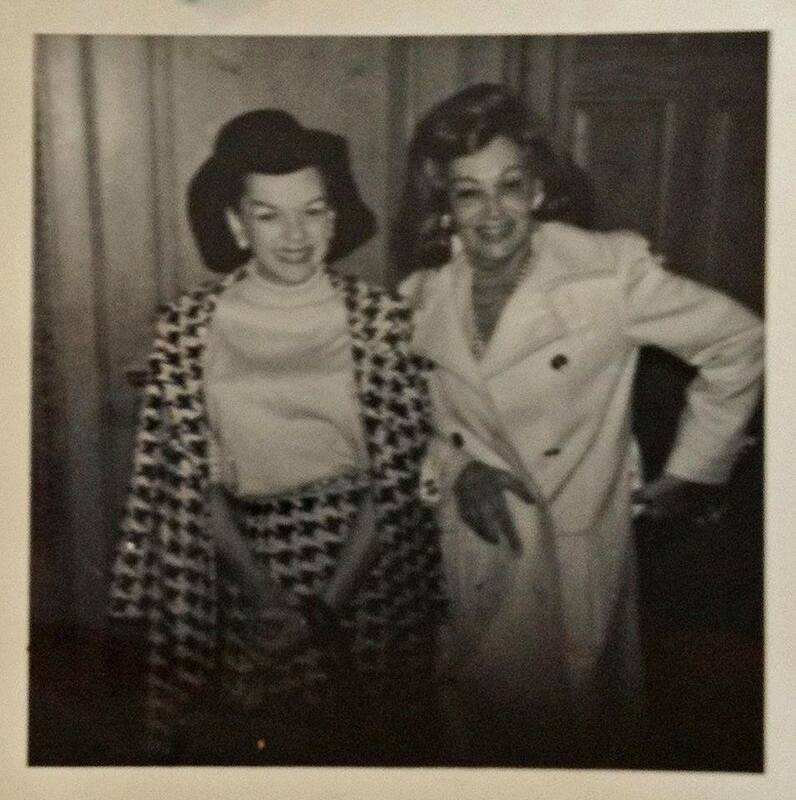 For the “Born In A Trunk” sequence, Judy told the story about her feather boa then sang “Swanee” followed by “I Will Come Back.” Judy also taped a “Tea For Two” spot with baseball coach Leo Durocher. 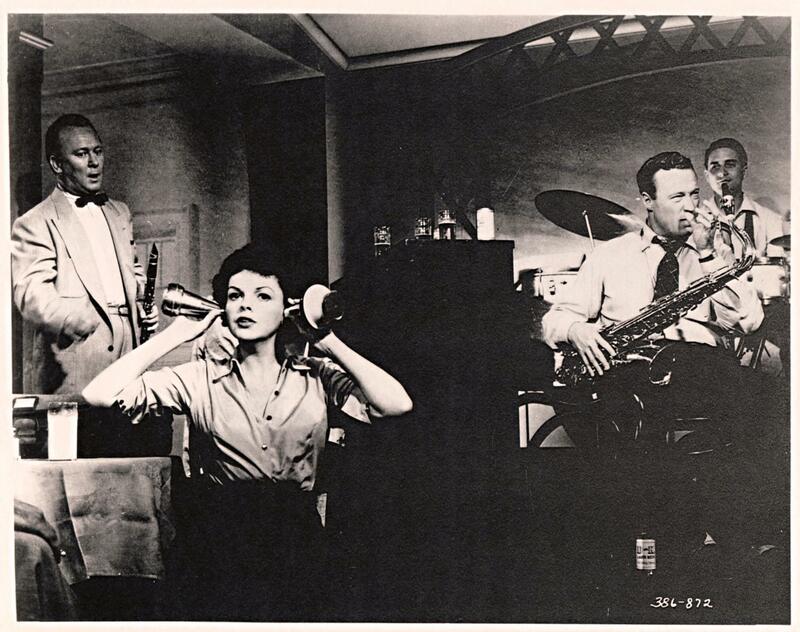 Dress rehearsal footage survives and is on the now out-of-print DVD of the show, “The Judy Garland Show – Volume Four” (copies can be found on eBay). 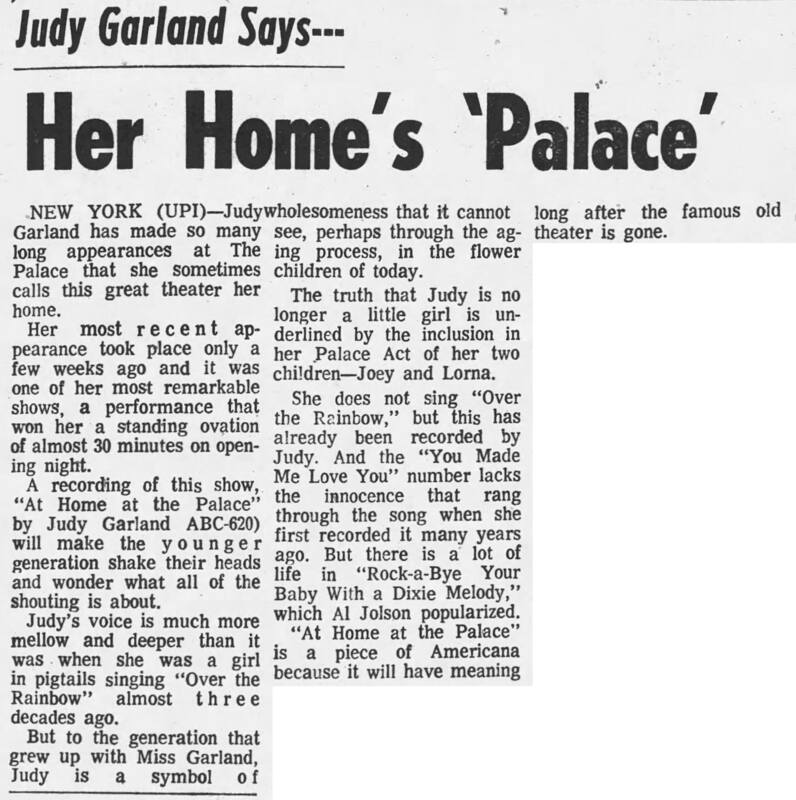 October 20 & 21, 1967: Two reviews of the “Judy at the Palace” LP. 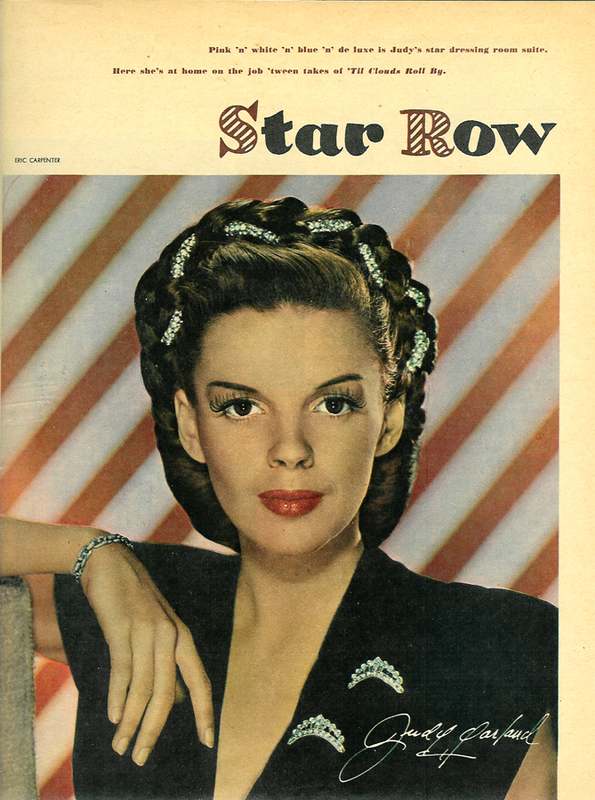 Check out The Judy Garland Online Discography’s pages about the album and its various releases here. 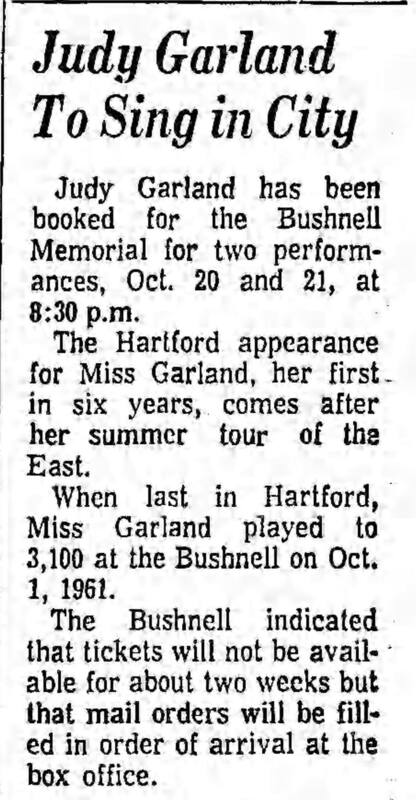 October 20, 1967: The first night of a two-night engagement for Judy at the Bushnell Auditorium, Hartford, CT. NOTE: The sound quality is very poor due to its being recording from the audience. 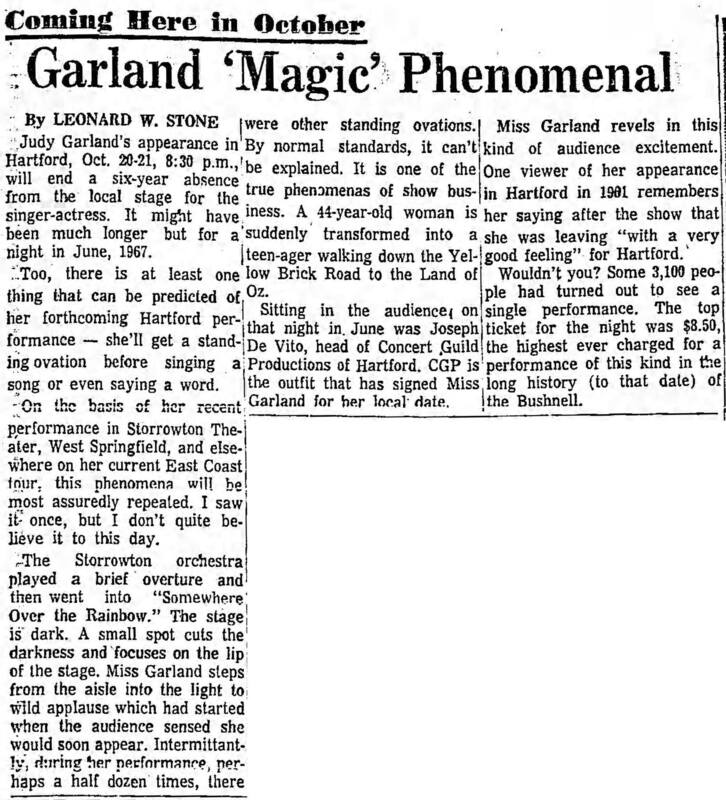 Judy arrived from California – according to press from Hartford papers – and checked into the Hartford Hilton at 2:30 a.m., the morning of her first concert, October 20. There had been a press conference scheduled for Thursday evening, October 19, which she, Sid, and the children missed. One reporter who waited for them was Allen M. Widem of the “Hartford Times,” who got a few scoops. There was “constant talk of a television series, but at the moment nothing offered seems to smack of the Judy Garland individualist approach. She’s still open to suggestions, however.” This might explain the sudden and quick trip to California: for business meetings about doing another series, which seems incredible considering the “failure” of the one she did, and the fact that she was blacklisted from all primetime television variety series work, after the April 1, 1966 “Hollywood Palace” debacle. 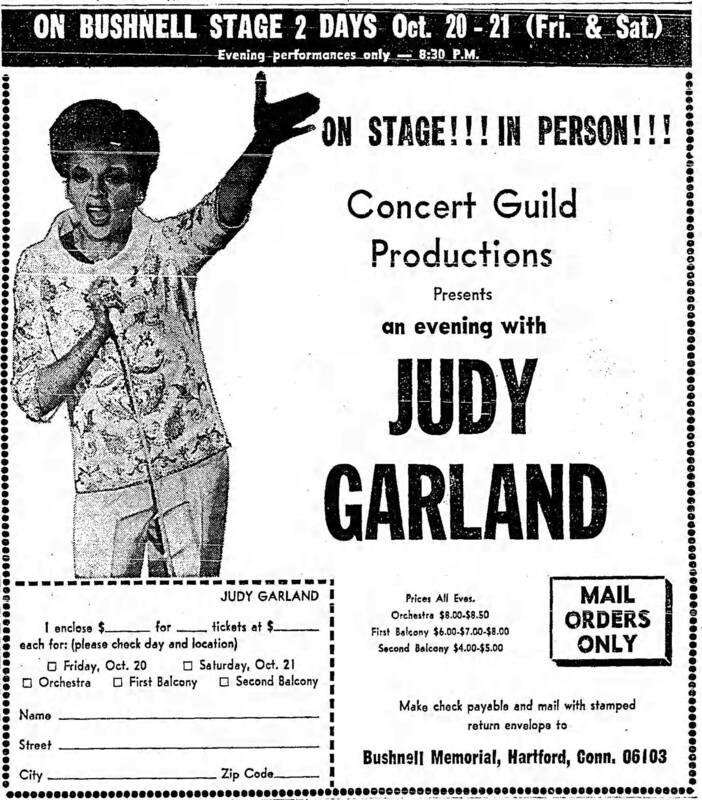 However, the Palace Theater engagement and the tour had established yet another “comeback” for Judy, so it’s possible that there were some offers; it could just as easily have been for the benefit of the press. 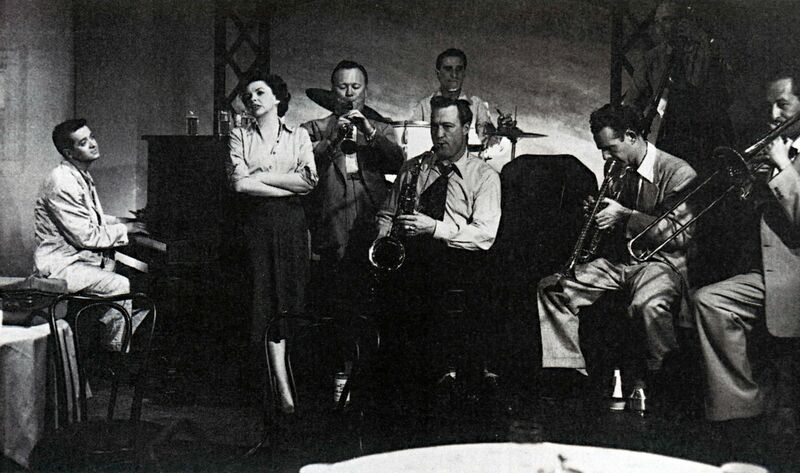 The morning of the show, October 20, found Judy starting a six-hour rehearsal with Bobby Cole and the 26-piece orchestra at 11 a.m., only 8 1/2 hours after her arrival. 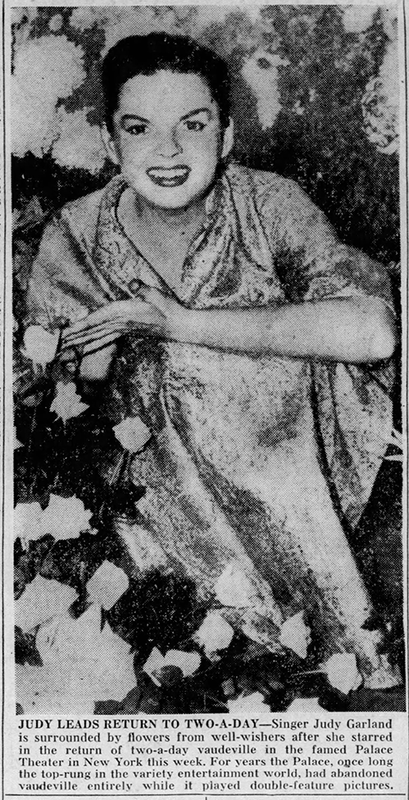 Photos: Judy with Esse Kupcinent in 1967, various ads, plus a review of the show.